Don Meredith is also the subject of a separate investigation after allegations of workplace harassment. 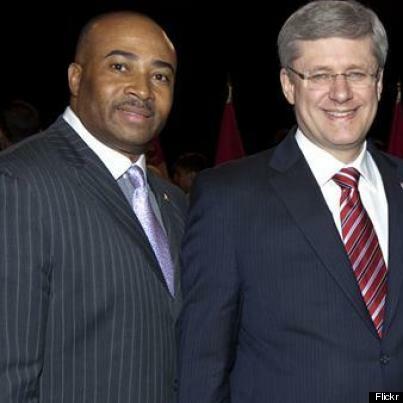 Sen. Don Meredith abused his power and office in engaging in a sexual relationship with a teen that began when she was 16, concluded a bombshell report released Thursday. The investigation by Lyse Ricard, the Senate ethics officer, found that Meredith breached two sections of the Senate ethics code that require a senator's conduct to be upheld to the "highest standards of dignity inherent to the position of a senator"; and to "refrain from acting in a way that could reflect adversely on the position of senator or the institution of the senate." “Senator Meredith brought into the relationship the power and influence of the office of Senator, while Ms. M was a vulnerable teenager. That dynamic pervaded the entire relationship, from the time it was initiated through to when it became sexual,” wrote Ricard in the 33-page report. The ethics officer said she heard conflicting testimony from both Meredith and the young woman, who is identified as Ms. M. However, she found Ms. M to be a credible witness, who was forthcoming in answering questions and providing evidence which included sexually explicit text messages, emails, and screengrabs of Skype and Viber chats between herself and Meredith. "Conversely, I did not find Senator Meredith to be credible in his testimony," Ricard wrote. She stated that from the beginning, Meredith objected to the inquiry because he felt this was a personal family matter unrelated to his role in the upper chamber. Ms. M was 16 when she met the senator in February 2013 during a function for Black History Month at an Ottawa church. At the time, the married senator and father of two was 50 years old. Meredith, who was appointed to the Senate in 2010 by former prime minister Stephen Harper, is also a Pentecostal minister. After giving the student his phone number, the pair began communicating via text message, phone and email. This contact was initiated and encouraged by the senator, said the findings. The report makes clear the senator knew Ms. M's age just weeks in their acquaintance, even telling her, “You do not look your age,” according to her testimony. Meredith invited her to dinner on Valentine's Day 2013 but she turned the invitation down. “Something about it just didn’t feel right to me, so I consulted my family and they said I shouldn’t go,” she testified. Their communication progressed, and Ms. M told Ricard "he would say ... 'you are special' and 'caring' and how he would introduce me to contacts for the future, and stuff like that." She said a physical relationship began six months later with their first sexual encounter at her apartment — when she was 16 — and that she lost her virginity to Meredith at his Château Laurier hotel room in Ottawa when she was 18. There were also sexually explicit chats over Skype, with Meredith in one instance asking the teen to take her top off, because that was "what adults do," according to her testimony. "Senator Meredith masturbated on camera during these chats at least seven times; on about three of these occasions, he was in his GTA Faith Alliance [church] office," said the inquiry report. It adds the chats also took place while he was away on Senate business, and in his home office. A section of Ricard’s report also addresses the senator contacting the young woman’s parents, referring to Viber messages that alluded to potential business dealings. One particular exchange near the end of their relationship in April 2015 hints at Ms. M’s frustrations over the senator’s failure to come through on his promise to help both her career and her mom with obtaining permanent Canadian residency. “You told my sister that you’d help her NGO (non-governmental organization), you told me you’d have me on your National Youth strategy team. You did none,” she said in a text submitted as evidence. But Ricard concluded: "Senator Meredith drew upon his weight, prestige and notability of his office, as well as his relative position of power as a much older adult, to lure or attract Ms. M, a teenager who, by virtue of her age, was necessarily vulnerable," Ricard wrote. "He exploited Ms. M and the power imbalance between them." The senator said he has taken “remedial measures” in light of the inquiry report. The ethics officer's inquiry began in 2015 after the Toronto Star reported on the alleged affair. Meredith was ejected from the Conservative caucus shortly after the story was published. In response to Richard's report — which he was given the chance to review on March 2 — Meredith submitted a letter outlining the “remedial measures” he said he has taken. He stated that he has “placed himself under the guidance of spiritual advisors,” engaged in “continuous prayers of repentance” as well as counselling. The Senate's ethics committee will now review the report, and could recommend further action, such as expelling Meredith. In September 2015, Ricard notified Ottawa police after a conversation with the teenager gave her “reasonable grounds” to believe the senator may have committed a crime. Police closed their investigation in January 2016 and did not lay any charges. Meredith is also the subject of a separate investigation after allegations of workplace harassment were raised by former staffers. That final report has yet to be tabled. In 2014, The Huffington Post Canada found that Meredith’s master’s degree in religious studies and his honourary doctorate were granted from unaccredited institutions. After that story, Meredith appeared to briefly stop referring to himself as "Dr." But Ricard’s report suggests he continued to use the title in select correspondence.